One for all The Mudders in Jeep Land.! 2016 Event Results for Trophy Winners. OMG! WHAT A GREAT TIME!!! I got to be the the presence of Jeep Greatness! YA!YA! This year we only had one day to take it all in, which was fine, but it wiped me out for about a week. We got smart and booked a motel a year in advance. Here are some great video links on the youtube for your enjoyment. 1. 4 WD Video. The Wagoneers are parked behind the military boot camp. At minute # 1.42. Guess were we are heading this weekend? YEPPER! 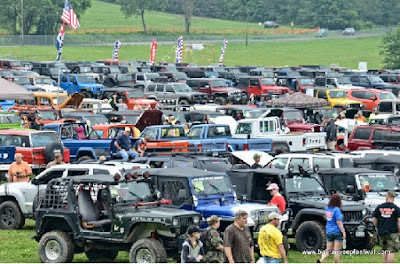 THE ONE AND ONLY JEEP FESTIVAL! 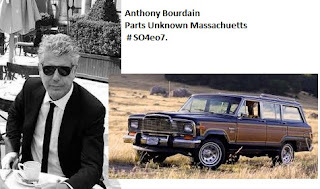 LOOK WHO IS DRIVING A JEEP GRAND WAGONEER! look who I found driving a "Waggy" in his show. NOTE: Go to 13.35 minute into the video. The voice is on slow mode because of the overlay.